Bringing home a new puppy or kitten can be an exciting time. At Peninsula Dog and Cat Clinic, we want to help you get your pet off to the right start. 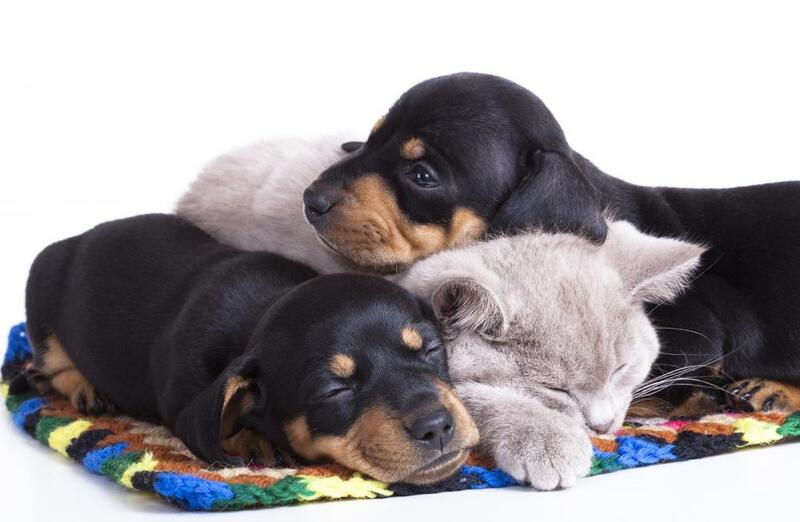 We offer a variety of services to help puppies and kittens stay healthy. With proper nutrition, exercise and preventative care, we can get your pet stay well and avoid illnesses. Wellness exams. Wellness exams can help us catch medical conditions in their early stages. These checkups also give you a chance to ask the veterinarian any questions you might have about caring for your pet. Vaccinations. Vaccinations can help your pet develop immunity to common illnesses and diseases. At Peninsula Dog and Cat Clinic, we provide our pet patients with core and non-core vaccines. Dental care. Our dental care services help prevent dental disease as well as cavities. Reduced risk of certain cancers of the reproductive system. Less desire to wander away from home. At Peninsula Dog and Cat Clinic, we encourage pet owners in the area to spay or neuter their cat or dog. Puppies and kittens require specially formulated food to stay healthy and get proper nutrition. If you are a pet owner of a puppy or kitten, we encourage you to feed your pet food that is specially made for young animals. Puppy food and kitten food is food is protein rich and is designed to be served in small portions. It’s just right for the needs of a growing pet! In addition, puppies and kittens need exercise. Dog owners will take their pet out on walks, but this is not a common practice for cats. If you own a kitten, we recommend playing with your cat on a regular basis to ensure that he or she gets the right amount of exercise. If you’re a new owner of young cat or dog, now is the time to visit the veterinarian. At Peninsula Dog and Cat Clinic, we help pet owners take care of growing puppies and kittens. To find make an appointment; contact us today at 503-285-7661.